It isn’t clear how exercise might work in the body to affect a tumor. One theory is that physical activity can reduce levels of insulin and other factors that have been linked to greater cancer risk. Exercise also can boost the immune system, and it might affect the environment in which the cancer is growing. The new technique combines a whole-body MRI scan with diffusion-weighted imaging, which can distinguish tumours from other tissues based on their structure. The resulting images provide a clear picture of how far cancer has spread in the bones and can help to predict how long patients will survive. To help cancer patients and their surgeons beat the odds, medical device company Lightpoint Medical Ltd. has teamed up with product development firm Sagentia to develop the LightPath™ Imaging System, the world's first intra-operative molecular imaging system. New study shows a single biopsy could provide enough molecular information to guide individualized therapy for prostate cancer patients. While the study’s senior author and other experts say the results show the prostate-specific antigen test remains relevant and useful, others say it’s proof too many men are being overtreated for a disease that would never pose a risk to their health. Metabolic phenotyping of blood plasma by proton nuclear magnetic resonance (H-NMR) identified unique metabolic biomarkers specific to lung cancer patients and allowed for the accurate identification of a cohort of patients with early and late-stage lung cancer. At any rate, this seems very much worth following up on, and I hope that this paper creates as much of a stir in the oncology community as it seems ready to. Doing a human trial like this is going to take some serve, but the potential benefits are large. “Just because things haven’t worked in the past, doesn’t mean they won’t in the future if we keep improving things,” he said. And based on this conference, there’s a real sense that is happening. We don’t actually need a study like the one from the USA. We could just start to take action. The investigators are planning to initiate a phase I clinical trial to evaluate the efficacy of combination therapy with Radiofrequency ablation (RFA) and anti-PD-1 antibody for patients with liver metastases from colorectal cancer. Under an agreement with North Carolina's Precision BioSciences, Baxalta is paying $105 million up front to collaborate on 6 so-called CAR-T projects, which take the immune system's natural weapons and re-outfit them to home in on cancer antigens. CHMP recommends Opdivo in previously treated advanced renal cell carcinoma patients based on the study, CheckMate -025, demonstrating an overall survival benefit. 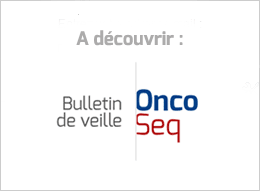 In LUX-Lung 8 trial, Giotrif® (afatinib) significantly improved overall survival and progression-free survival compared to Tarceva® (erlotinib) in patients with squamous cell carcinoma of the lung whose tumours progressed on or after platinum-based chemotherapy. Ixazomib was launched in the U.S. in December, 2015 under the brand name NINLARO®, and is also currently under review by the European Medicines Agency for the treatment of patients with relapsed and/or refractory multiple myeloma. The EMA previously granted Orphan Drug Designation to venetoclax for the treatment of chronic lymphocytic leukemia (CLL). Results of the analysis demonstrated that the bavituximab plus docetaxel group did not show a sufficient improvement in overall survival as compared to the docetaxel group to warrant continuation of the study. In a clinical trial tremelimumab failed to meet the goal of improving overall survival in hard-to-treat mesothelioma patients whose disease had already been treated unsuccessfully with standard drugs. Both companies have declined to comment on the rumor, and it remains unclear whether the reported discussions include each firm's marketed drugs or focus solely on the pipeline. The high-profile failure of cabozantinib in a big prostate cancer trial in 2014 sent Exelixis reeling. It laid off 160 people, or 70 percent of the company, and retrenched around cabozantinib in liver and kidney cancers. Cabozantinib commercialized for medullary thyroid cancer (MTC) and filed for advanced renal cell carcinoma (RCC). The European Medicines Agency (EMA) has published today a revision of module V of the good pharmacovigilance practices (GVP) on risk management systems for public consultation until 31 May 2016. This is the second FDA approval for Gazyva based on a positive Phase III study. The median survival time after starting treatment in patients taking Opdivo was 25 months compared to just under 20 months in patients treated with everolimus. Public pressure is growing for the New Zealand Government to fund the melanoma drug Keytruda, listed as ‘low priority’ by drug funding agency PHARMAC. This is an exciting scientific undertaking — one that merits the attention these outlets have devoted to it. But the coverage sounded mostly like cheerleading, and none of these stories included a skeptical word about the many challenges ahead and how they could thwart the initiative’s lofty objectives. I was invited to attend and represent the organization I founded, the Multiple Myeloma Research Foundation (MMRF), and our efforts to accelerate precision medicine for patients with the fatal blood cancer. “Integrating” naturopathy into oncology or any other branch of medicine does not make medicine better. Naturopathic oncologists like Mr. Uzick demonstrate that very well. Given our commitment in this area, we are pleased to uphold the three core principles outlined by HHS’ in achieving interoperability. The commitment to developing standards for sharing information, preventing information blocking and enabling consumers to easily access and share their information completely aligns with ASCO’s vision on this issue.